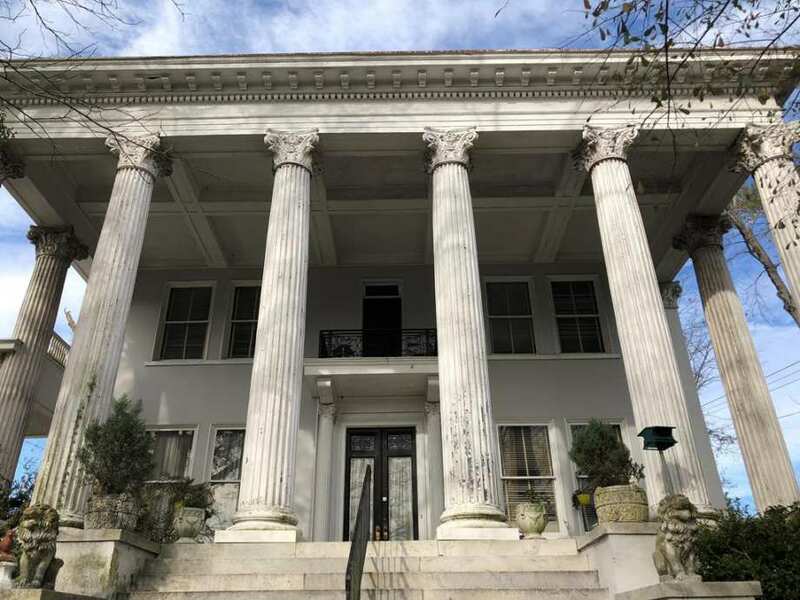 This is a Greek Revival home Built in 1886 and is known as the Dunlap-Wortham home. 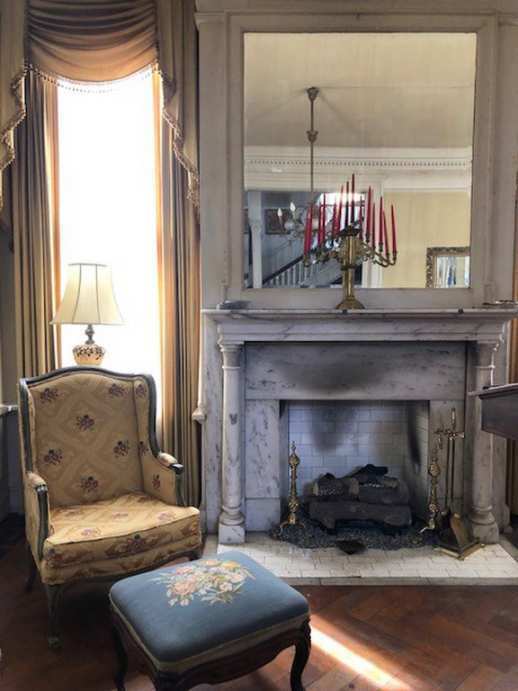 It features, double Italian marble fireplaces in the ball room, intricate inlaid wood floors and handcrafted moldings exclusively designed for home. Five rental units included in sale w/monthly income of $2, 280. To be sold as is. I’m having trouble figuring this one out. 1886 would be too late for Greek Revival, a tad too early for Classical Revival. 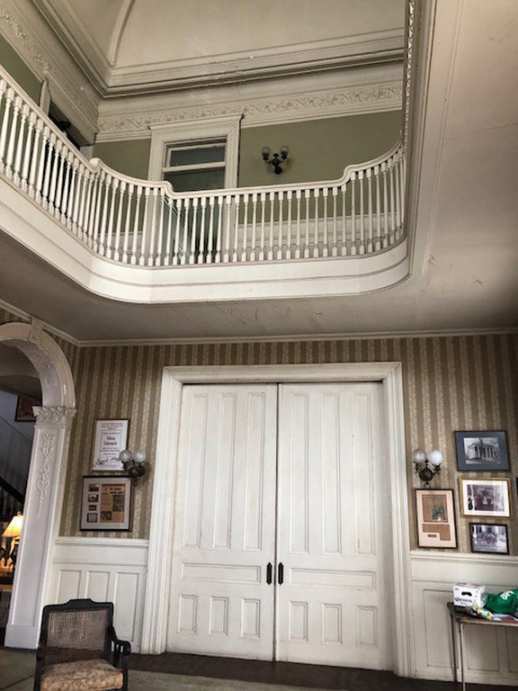 Is this an older home or was seriously remodeled after the 1886 date? I hope someone can turn up the history. Looking at the proportions and rooflines from the street view it looks like the front gallery is a later addition. The massing and chimney stacks almost look Italianate which would be long over by 1886. That said, it was the Centennial Exhibition of 1876 that spurred renewed interest in colonial era design. 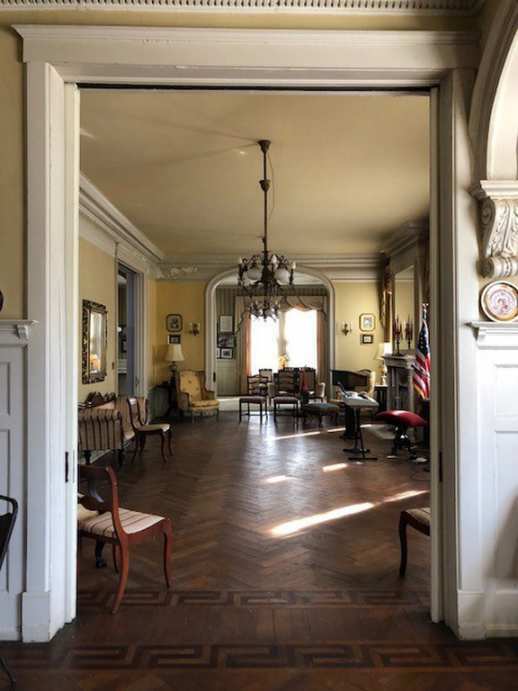 The interior does seem to have some Queen Anne elements that have been adapted to Colonial Revival. Definitely confusing. I didn’t even look at the side, you’re right. Interesting! There are several houses on this street with big columns. Not sure what the house looked like before the front went up. Also a lot of Queen Anne’s. Nice neighborhood. Maybe it was a transitional style. 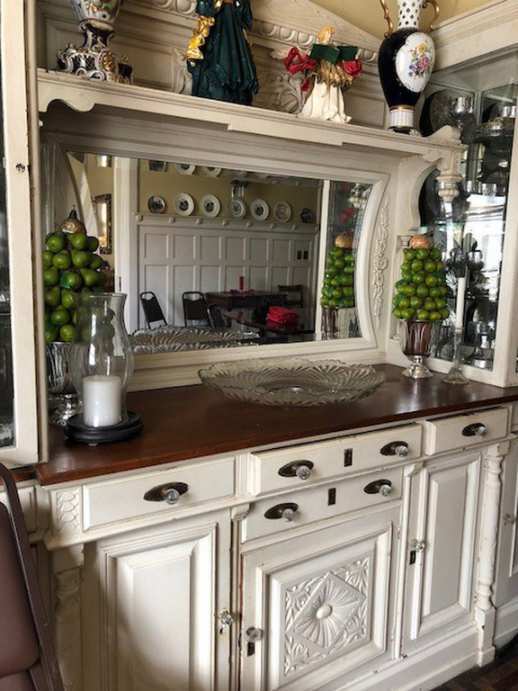 The front definitely looks like it was an addition. You’re right. Maybe they wanted to update their Italianate house to keep up with the times and added this front part of the house. I’d love to see pictures of this house through its progression through the years. Probably more info than you would like, but extremely interesting. Too much information is just enough! Thank you for posting. Janna, great link and what a history of the house and the family. Thank you. Same family, different house. 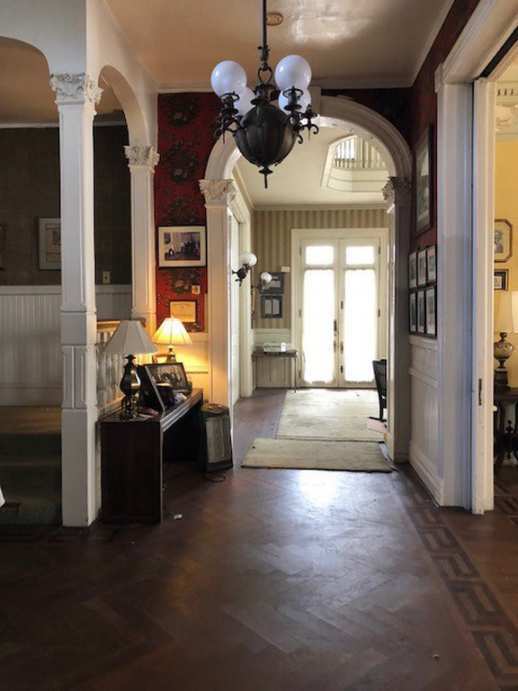 The posted house was owned by Henry M. Wortham and his wife Nettie Dunlap Wortham (1859-1939). Her father Samuel Scott Dunlap (1830-1902) was a Civil War hero credited with saving Macon from Stoneman and Sherman’s rampage, who made a fortune in the hardware business. Nettie was an 1875 graduate of Wesleyan College nearby and Wortham Hall commemorates her large bequest to the College. 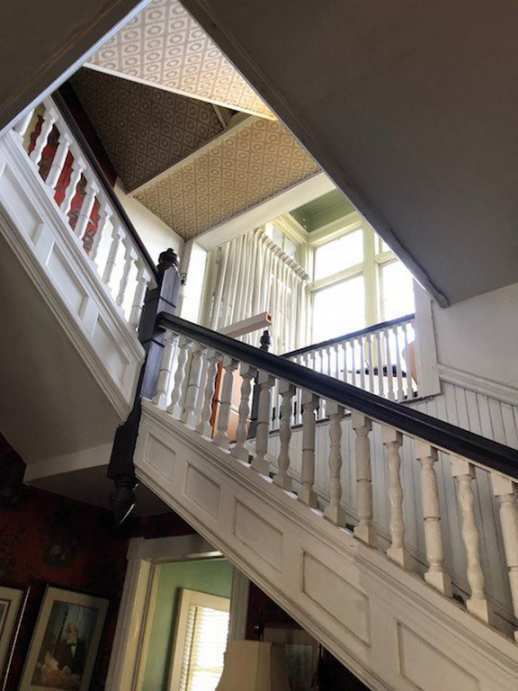 The early history of the house is obscure, although the opulent lifestyle of the Worthams is local legend. Where are the 5 rental units? Perhaps it means the home is broken into rental units, if you look at the street view you’ll see how far back the home goes. There’s also a carriage house/garage way at the back. Some could be there. House is definitely huge! 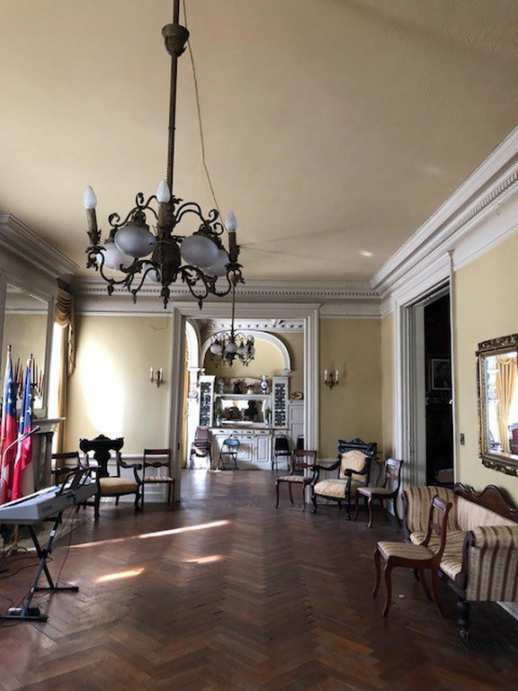 Can you imagine having that LARGE open foyer and staircase? Talk about feeling like royalty. Cheap price too! The rental units are located on the back of the home with one located over the garage. 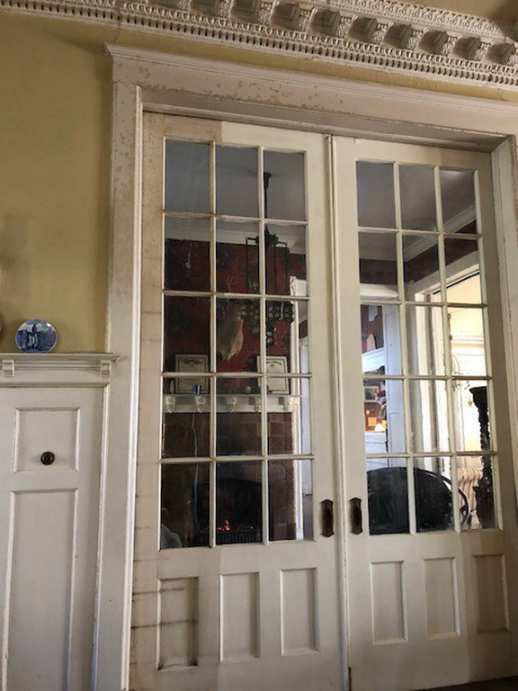 The Wortham’s did add onto the home, after Nettie Dunlap Wortham’s father, CPT. Sam Dunlap gave them $10,000 for being the first of his children to produce him a grandchild. I love this one, that interior could be smoking hot. Pretty from the front as well. First order of business would be ripping the additions off the back and returning it to single family. A walk up and down that street reveals many other fabulous mansions.Crime map is a bit concerning. And all those cool light fixtures are definitely a plus. This would be a captivating project. I wonder if that’s a servants bell push button to the left of the pocket doors. Looks like a small electric bell button. Though I could be wrong. The picture is a little blurry. That’s a massive house! I noticed the even larger one next door, across the side street. I think I am in love. What a jewel. This as a wow! Look at the grandeur. Personally, I love the house. Some paint and yard work, it would be more beautiful than it already is right now! The 4 apartments are in the back portion of the house and is not an addition. The 5th apartment is above the carriage house. 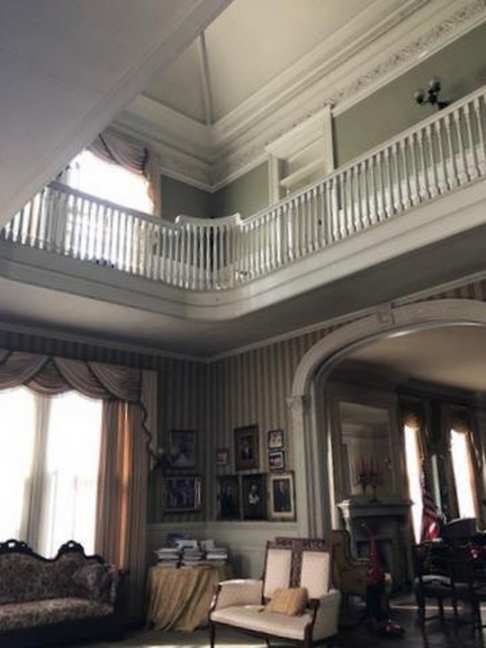 The back portion was formerly the master’s and Mrs’s bedrooms, maids and butler’s quarters, and two sleeping porches. The sleeping porches have been enclosed and are used as part of the apartments. 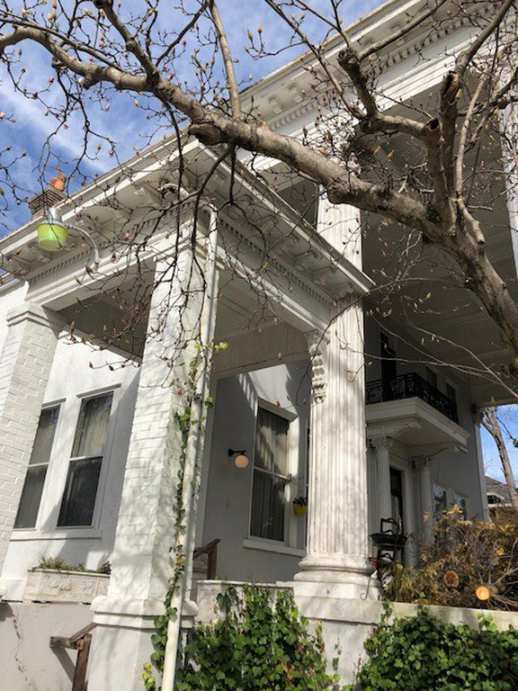 his was originally built in 1886 as Italianate, but the front (the front room with the 2nd floor balcony and the columned porch) was added later. Not sure of the year, but it was when Classical Revival was in vogue. The whole neighborhood is comprised of houses with similar grandeur, but many different styles. A lot of history there….